Fruit custard is the simpliest dessert prepared with creamy custard and loads of fruits and nuts. It is tasty and also healthy dessert because it contains all nutritous ingredients like milk, fruits and nuts. 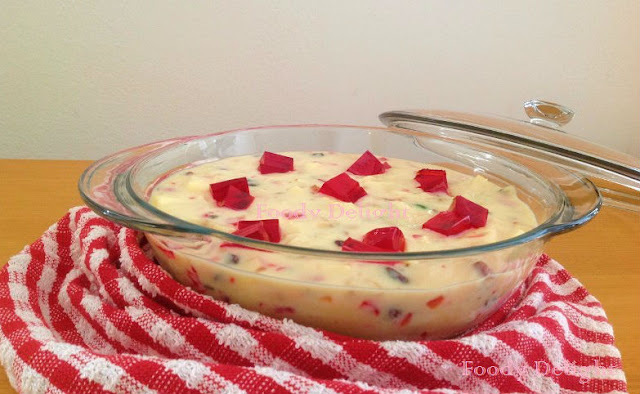 Lastly I can tell you guys this fruit custard is really easiest dessert idea which can be made even at the last time when you know your guest are arriving. 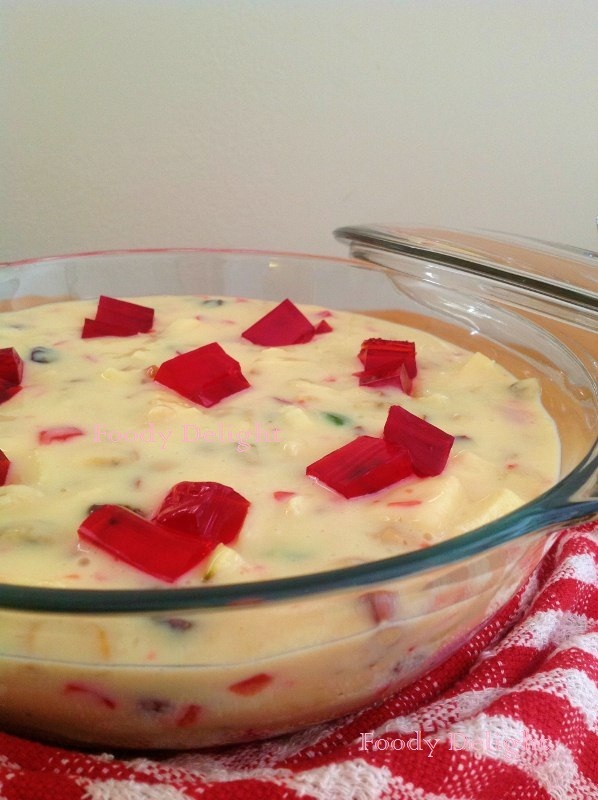 Strawberry jelly are optional,but I recommend it to use in the dessert. 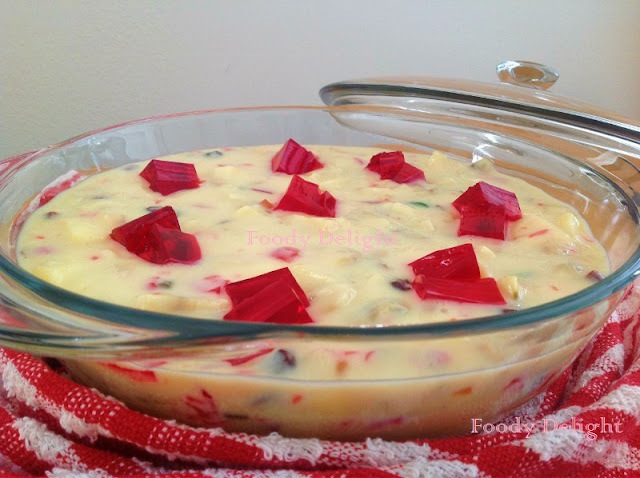 When using jelly, remember to use it at the time of garnishing, because it changes the custard's colour. Bring the milk to boil over medium high heat. Combine custard powder and 1/4 cup of milk .Mix thoroughly and prepare a smooth custard paste. Add this custard paste into the boiling milk and stir continuously till the milk becomes thick and creamy. Then add sugar and mix well. Turn off the flame. Remove the mixture from the heat and allow it to cool down. Once the mixture cools down, then refrigerate it atleast for half to one hour. Now its time to chop all the fruits and also all the dry fruits. Quantity and variety of fruits and nuts are left to you. Use as much you want and as less you want. After 1 hour, take out the mixture, beat it well to get creamy and smooth mixture and then pour it over chopped fruits and nuts. Mix well. Serve chilled with strawberry jelly cubes over it. Yummy Custard!! Love the addition of strawberry jelly cubes.. It adds color and also makes the custard very interesting..
My entire family loves frruit custard.